Located near the intersection of Decker Blvd and Oneil Ct, Extra Space Storage serves Columbia residents near Woodfield, Dentsville, Arcadia Lakes, Sandwood, and more. Locals will recognize our facility near Food Lion a few minutes south of Dent Middle School and Fashion Place Shopping Center. 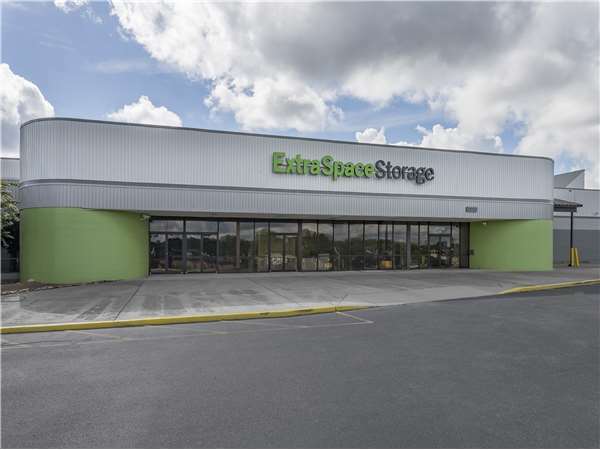 With a large selection of storage units, climate-controlled storage, vehicle storage, and exceptional security, Extra Space Storage on Decker Blvd is the storage partner for you in Columbia near Woodfield! Our Columbia storage facility has unit sizes as small as 5x5 and as large as 24x39 with convenient features like drive-up access, indoor access, and more. We have the space you're looking for! Concerned about storing valuable items? With security measures like an on-site manager, 24-hour video surveillance, and electronic gate access, you can rest assured your belongings are safe with us. Don't let Columbia's extreme heat and humidity damage delicate items! Rent a storage unit with climate control, which keeps your unit between 55 and 80° at all times. Climate-controlled units are available in sizes 5x5 to 30x20. Looking for secure vehicle storage in Columbia? Extra Space Storage offers 8x20 to 10x30 outdoor parking spaces and 24x39 enclosed drive-up units that are great for cars, motorcycles, boats, and RVs. Extra Space Storage is dedicated to providing every customer with an excellent experience. From our clean, secure, well-maintained facility to our friendly, professional staff, we go above and beyond to deliver reliable self storage and great customer service. Contact us today to reserve a storage unit in Columbia! Clean building in a location right next to Richland County Judicial Center so I felt very safe going there by myself. Very helpful and courteous staff. Would recommend. Customer service was amazing , location and storage space was convenient to to location where I am moving. The entire building is clean and the customer service rep at the Decker Blvd location was THE BEST!!! If you need to store your ***** fast and desire professionalism, this is the place for you. Don’t mind the language, I’m just being real about this place. I rented a space today and worked with store manager Tim Sheridan, He was such a great person to work with very polite. He greeted me with a warm smile. He went over the paper work with me very patiently. Then we went outside to make sure that my code work correctly. The facility was very clean and neat. Thank you so much Tim for making my visit easy and pleasant.?? The customer service is excellent. The property is clean and well maintain. They have reasonable hours of use to accommodate almost everyone. The prices for the unit is very fair. I recommend you check them out. This storage facility had everything I needed - climate controlled space the right size for me, easy accessibility, tight security, and well-informed staff who were able to explain things clearly and answer my questions. Excellent Customer Service and Clean Storage Area. The facility is huge, yet it is super clean and the isles are spacious.The staff and service is superb. This is an exceptional storage facility. I will recommend it to all my friends when they have upcoming storage needs. Believe me, I have stored belongings in several facilities in several states. None of them can top Extra Space Storage. Extra Space Storage is clean, safe and the locations are very accessible. Clean facility. Friendly, helpful staff. The manager was very helpful in helping me find the right size storage unit for my needs. I recommend Extra Space Storage to anyone that is going through a transition or just needs needs to store items short term. Had a great time . I have the best on-site manager. Tim Sheridan...He is always polite and when I was very upset with your company he kept a coolhead, listened to my issue and did what he could to make things right. He will always have my gratitude and faithful service. Extra Space Storage is an excellent place to go and use for storage. The customer service was great and he was hands on in making sure I understood all there polices and if I needed anything just to let him know. Great facility in a convenient location. Good customer service during both the leasing and the move in process. Extra Space Storage is a wonderful storage space facility. The customer service is excellent. The storage space is clean, well lit, and temperature controlled! I will definitely recommend Extra Space Storage to any of my colleagues or friends, who might need additional storage space. The staff is first rate. They are very helpful, encouraging, compassionate and professional. The facility is VERY clean and well taken care of. I felt relieved leaving my things here. I am so impressed with this storage facility. Started the rental process online, and received an immediate response from the delightfully helpful manager, Tim. The facility is so nice: clean, indoors, climate controlled. All making the actual move in quite smooth. Two things set this storage facility apart from all others I have ever experienced: 1. Cleanliness, this was by far the cleanest and most professional storage facility I have worked with 2. Customer service, regardless of industry the customer service provided by the store manager is rivaled by none. The location is excellent, the access and safety is excellent, the storage access is in doors, and the customer service is excellent , friendly and the attendants are well informed. Extra Space Storage is a great storage facility. Store # 8174, located at 2470 Decker Blvd., Columbia, SC., is well lit, easily accessible, and very clean! Tim, one of the managers there, is a consummate professional. He is articulate, and represents Extra Space very well. Yes, I would highly recommend this storage facility! Thank you, Extra Space! Extra Space Storage is clean and well-lit, with easy access! Tim, one of the managers at store # 8174, located at 2170 Decker Blvd., Columbia, SC, is an articulate, consummate professional. He represents Extra Space Storage, with the highest degree of professionalism. I would recommend this facility to anyone who wants cleanliness and safety, when it comes to choosing a storage facility! Thank you, Extra Space!!!!! Clean, easy access, good rates, climate control, secure, auto lighting and all indoors! I have been very satisfied with the location and the office staff on Decker Blvd. They are understanding, cooperative and professional in a friendly way. Excellent customer service. We were running late getting to the facility and forgot our lock. The guys were patient with getting me registered, unloaded, and having to leave to retrieve my lock. The only complaint is the facility is HUGE! Not a bad thing but a lot of walking. Very helpful staff, competitive pricing, good location, clean facility. I rented this from out of town so I did not get to see the facilty before I rented it. I was very pleased with the cleanliness and very helpful and nice ladies that work in the office. Loretta helped me. Everything is inside not like the crummy units you have to get to from the outside. Each time I go into this facility I am greeted warmly. The staff is friendly and courteous. The manager really shows excellent customer service for those of us who rent. It's a pleasant experience. The facility is always clean too ! I have been renting storage space at this facility for 4 1/2 years. The prices are reasonable. I love the fact that its climate controlled and my items are not subjected to high heat temperatures. The facility is clean and neat at all times. I don't have to worry about the security of my goods, while I'm away. The location is very accessible. When I'm in town and go to my storage unit, everything is as I left it. I feel very secure about my rental unit. The storage place is clean and climate controlled. but I pick a place also because of price and when I'm quoted a price that is what I expect to pay. I've never heard of after 3 months the fee goes up and after 9 months goes up again. That to me is very deceiving. The best place to go to rent a storage. unit. inside climate is a plus! My experience with this facility was the best I had during my search for a storage rental. The employees were great and very knowledgable.They took the time to show the storage area personally and make sure that all my questions and concerns were taken care of. I will recommend this business to many people I know. Jay and Sherry were excellent in their customer service skills. What a great experience. I have had 3 units there for some time. Very clean and convenient. Pricing is good. There is heat and AC that keeps your stuff from going through temperature extremes. I'm a happy customer. I switched email addresses with My IPhone and was having issues paying my account online. Very pleased with the fast help from the store manager who was very knowledgable and fixed the problem within minutes.I was overly stressed trying to get alot done in a short time. and he was so patient all while enjoying my lunch break. This is nice place to put your things. It is convienent and clean. This is a great place to store your items. It is well maintained and managed. The facility is well lit and maintained nice. It is also very clean. The facility is nice and clean. The employees are great. the facility was very clean and suitable for my merchandise and appreciate the business. We had to get out of our house fast! the staff @ Decker Blvd was great! We even got to use their Free Truck. This was a big suprise and we saved alot of money compared to some the other places we looked at. Great Buy! The facility is okay. Would not refer this facility to anyone. Double standard on the prices on the internet for going inside or going on the internet. It is not the best I've seen. Could be a lot better as far as security. Anyone can go in behind someone else because people are opening the doors without even knowing if they have reason to be in there. 1.5 miles on right from Exit 13 on 77N. 1mile from Two Notch Rd just passed Chick-Fil-A and Rush's. On the corner of Oneill Ct./Decker Blvd. Depart ramp for SR 277 South / I de Quincey Newman Fwy 0.5 mi. Take ramp right and follow signs for Parklane Rd 0.2 mi. Turn left onto Parklane Rd 1.7 mi. Road name changes to Decker Blvd 0.6 mi. Arrive at location on the left. The last intersection is ONeil Ct. If you reach KFC/McDonald's/Food Lion youve gone too far. Located right beside the Magistrate's office. Depart I 77 North / Veterans Memorial Fwy 1.7 mi. At exit 13 take ramp right and follow signs for Decker Blvd 0.5 mi. Keep straight onto Decker Blvd 1.4 mi. Arrive at location on the right. The last intersection is Joye Circle. If you reach ONeil Ct, Chic-Fil-a, or Rush's, you've gone too far. Located right beside the Magistrate's office. Depart I 20 West 1.6 mi. Take ramp right for Two Notch Rd / US 1 South toward Columbia 0.2 mi. Turn right onto US 1 South / Two Notch Rd 0.8 mi. Turn left onto Decker Blvd 0.6 mi. Arrive at location on the left. The last intersection is ONeil Ct. If you reach KFC/McDonald's/Food Lion youve gone too far. Located right beside the Magistrate's office. Depart I 20 East 1.4 mi. At exit 74 take ramp right and follow signs for Two Notch Rd / US 1 0.3 mi. Turn right onto US 1 South / Two Notch Rd 0.6 mi. Turn left onto Decker Blvd 0.6 mi. Arrive at location on the left. The last intersection is ONeil Ct. If you reach KFC/McDonald's/Food Lion you've gone too far. Located right beside the Magistrate's office.